Our used car dealership in Sheridan, Colorado prides itself on our competitive prices, high level of service and driver-centric, stress-free experiences, so don't hesitate to make your way over from Englewood to find a used Subaru that offers like-new quality! Whether you're trading in, are a first-time buyer or are looking to explore financing options, the Select Auto Group is here for you! Feel free to browse our inventory right here on our website before making your way over from the Denver area for a test drive. We boast an array of vehicle options from reputable brands such as Toyota, Honda and Volvo and can introduce you to the car, truck or AWD SUV you've been looking for! Our experienced professionals will listen to your used car requirements before tailoring a shopping plan to complement your needs, so don't hesitate to visit our family owned used car dealership for a positive car buying experience today! 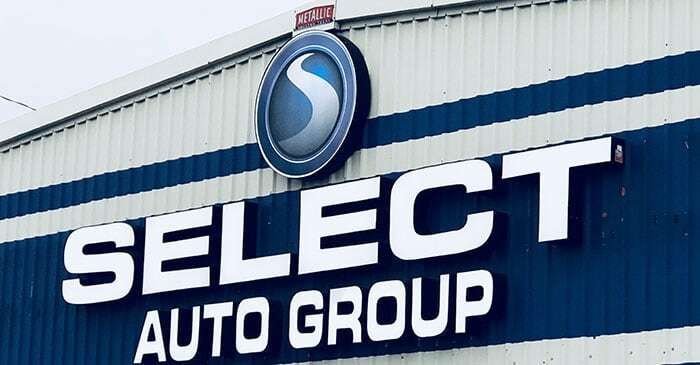 Here at the Select Auto Group, each vehicle we offer must endure a rigorous multi-point inspection process so that we can attest to that car's structural integrity, quality and overall safety. Contact our used car dealership near the Denver, Colorado area to learn more about our used cars for sale or to schedule a test drive on a pre-owned Toyota Camry! Thanks to the array of options we offer all under one roof, drivers are sure to find a quality pre-owned ride they can count on! No matter your current financing situation, there's a loan option available for you here at the Select Auto Group! Our experienced team of credit professionals will tailor-make a loan package that leaves you feeling satisfied, and thanks to the range of lenders our auto dealership near Lakewood, CO works with, we enjoy a high rate of approval even when dealing with credit challenged situations! Express your interest in financing a pre-owned Honda Accord, send our dealership's finance department a credit application online now! Our dealership near Brighton and Denver, Colorado area not only offers quality pre-owned options to explore, but we buy them as well! Visit our dealership today to learn about the professional vehicle appraisal services you can take advantage of, or use our website to send our team a trade-in request today! This secure form comes with no obligations, so don't hesitate to see what your ride is worth and to discover the upgrade options that are available to you! Our friendly Select Auto Group staff is eager to introduce you to all the competitive specials we offer, so don't hesitate to contact us about your needs today! We'll listen attentively as you describe the amenities that are important to you and will introduce you to an array of specials that are relevant to your situation! Get a feel for all the offers our used car dealership in Sheridan, CO has in store, check out our inventory online right now! For drivers in the Englewood, CO area that are looking for added peace of mind in their used car purchase, we invite you to check out the high-tech certified pre-owned options we have available! Whether you're looking for a rugged pickup that can keep up with your mountain adventures or a family-friendly commuter car that gets you safely to work, the Select Auto Group has an affordable certified vehicle in stock for you! 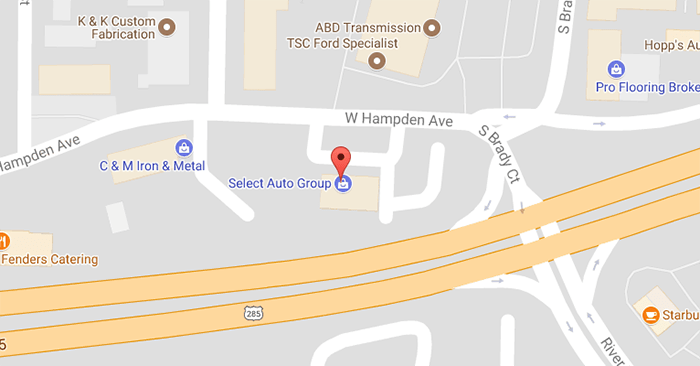 Our family owned used car dealership in Sheridan, Colorado is eager to assist with your buying, selling and auto financing needs, so don't hesitate to explore all the useful resources we've made available right here on our website! Browse our used Volvo inventory or check out our payment calculator to get a feel for monthly payments on a pre-owned Subaru Forester. When you're ready for a more personalized auto experience, our friendly team of professionals is waiting to welcome you!